Women in the Priesthood? Two Colorado women are already doing it, and they say it is time for a change. At a vigil Friday night, Catholics in Longmont pray with the Pope for peace, not only in their world but in their faith. "I hope that the Roman Catholic church one day recognizes women as priests," said Father Teri Harroun, the priest leading the vigil. She goes by the traditional priest title of Father, but Harroun is a woman, ordained by the Ecumenical Catholic Communion, a denomination that follows Roman Catholic Traditions, but allows females to follow their calling. "God's love is not limited to some of these rules and regulations that people can develop," said Harroun. While the Pope has given messages of inclusion across the United States, some women still feel excluded from the religion of their hearts because of the reality of their gender. "Pope Francis, God bless him, has said consistently and recently it's a closed door," said Rev. Sheila Dierks, an ordained priest in the Ecumenical Catholic Communion. "I would have been ordained in the Roman Catholic Church, but it's forbidden." "Roman catholic women go to other denominations in order to be ordained because of the fact they cannot be ordained in their own," said Dierks, "which is a loss for Catholicism." Dierks said the Catholic church actually ordained women up until the 1200s. "My experience with women being ordained is it’s far less about power and far more about community — sitting in the circle, said Dierks. "I’d like to say to the Pope, 'When you are concerned about those who are deprived, look at women. Look at women, look at their call.'" 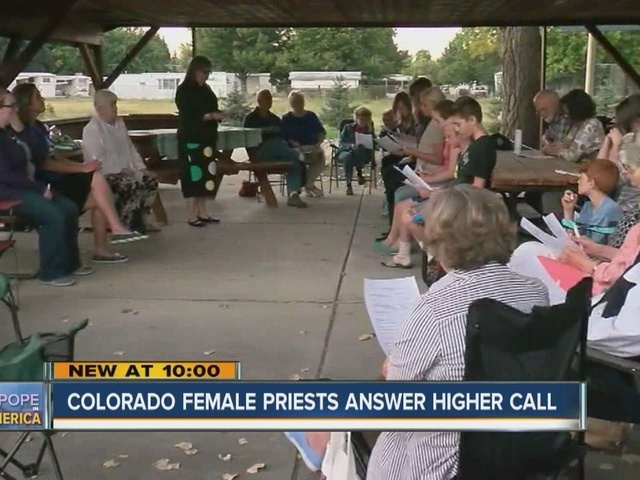 Harroun said that the Roman Catholic church does not recognize any sacraments performed by female priests, but she said, she answers to a higher power. "Whoever it is who feels they have been left alone in their church there are other places to go," said Harroun. "God loves you as you are." Get breaking news on your phone, download the free 7NEWS app for iPhone/iPads , Android and Kindle . And follow us on Facebook , Twitter and Instagram .